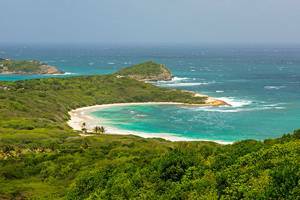 Antigua and Barbuda are neighboring islands in the Caribbean. 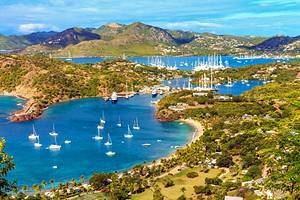 Antigua, a slow paced but lively island, has 365 beaches with great reefs and wrecks for diving and snorkeling. Barbuda is a quiet island with few visitors apart from eager bird watchers looking for the fabled frigate birds and those wishing to visit the Caribbean's largest rookery.